After a month of rain every day in Gothenburg the fallen leaves are turning to mush. This week we have had a little break to see the sun here and there, though. 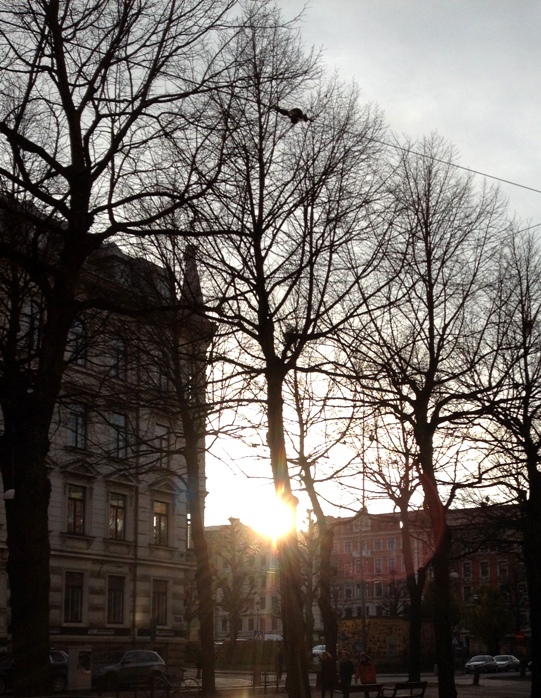 The days are getting shorter, and the sun stays low on the horizon when it's out. 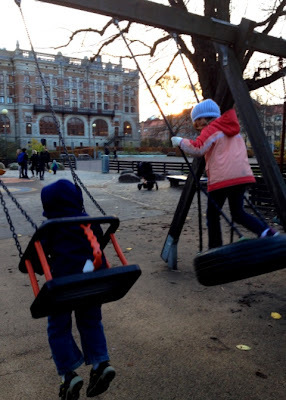 Yesterday I took the kids to the playground after school to take advantage of dry equipment and vitamin D.
I have been polling the seasoned residents about what they do to battle wintertime blues. Music - This is hard for me to remember for some reason. We even have a stereo with a place to plug in my iPod. I just love the peace and quiet! 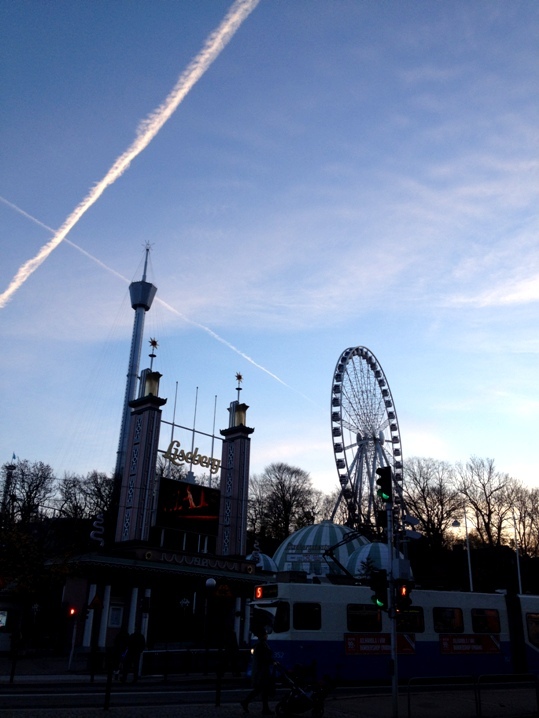 Exercise - We're usually running late, so school runs and dashing to catch the tram both qualify, right? 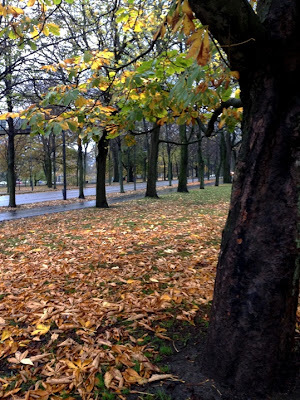 I'm really enjoying my walking group on Tuesdays and tennis group on Fridays. My plantar fasciitis does not enjoy those things, though, so I just ice it. 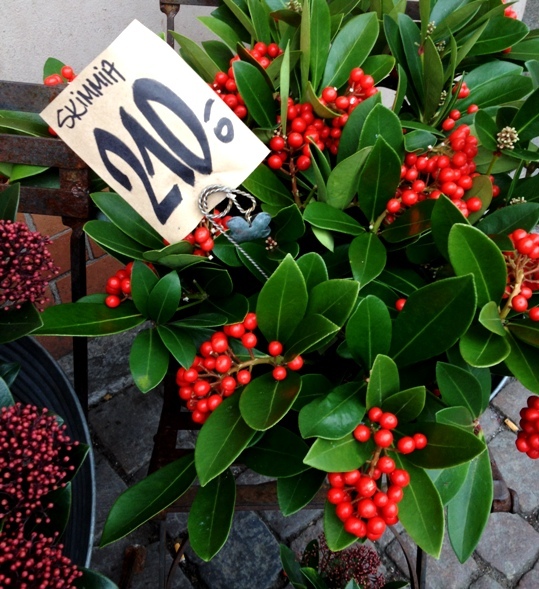 Living things - I'm loving these berries spotted at the florist down the street. I'm also seeing amaryllis and hyacinth bulbs potted for forcing. Travel - Either embrace the cold (pass) or go somewhere warmer (hmmm). There's much swapping of goods in the revolving door known as the expat community, and this summer we were gifted a set of end tables for the living room as well as three strands of Christmas lights. I used a mop to reach up and wrap a strand around curtain rods and the knobs on our dining room ceiling. If the mop is my height, that makes the ceiling eleven feet tall. I love this apartment. Each room's ceiling is different. The kids love seeing the lights! Christmas decorations came out of nowhere as soon as November arrived, which made me feel right at home because American retailers get an early start on Christmas as well. It's such a festive time of year I am happy to drag it out! We took a walk after dinner to see the lights on the Avenyn. Here are some of the seasonal products I'm seeing in stores. 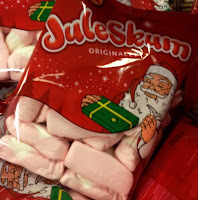 Julmust, the Christmas soda that tastes exactly like the Easter version (Paskmust). It tastes kinda like cola and root beer. I only bought it so I'd have a bottle to use as an ice pack to roll under my heel. 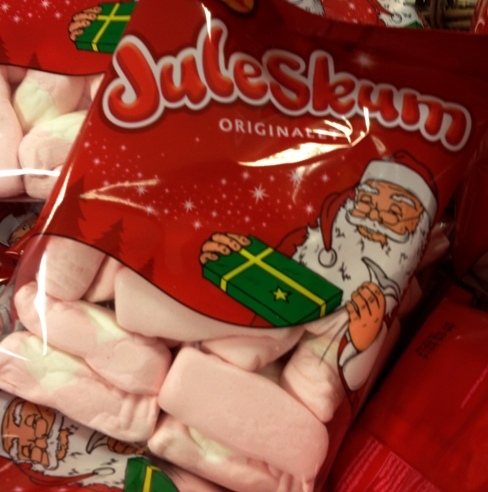 JuleSkum (Christmas foam) described as chewier than a marshmallow, also available chocolate-dipped. Meh. 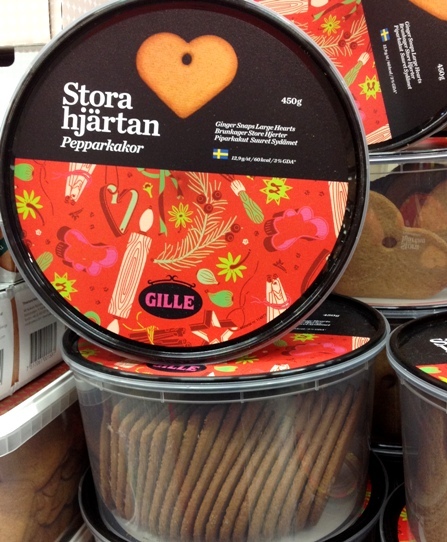 Heart-shaped pepparkaka (thin gingersnaps). You can buy pepparkaka in other shapes throughout the year, but now there are big tubs full of them. Some even have holes for hanging, which I love. 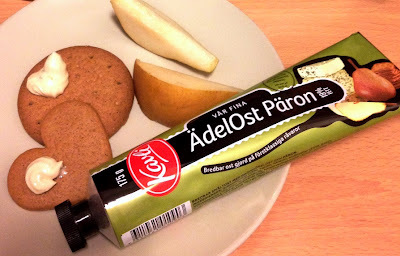 In the States you can buy Anna's pepparkaka at Ikea and Wegmans. The round cookie is a gingerbread flavored Digestive biscuit. The regular kind is the closest thing we have to graham crackers, so I'm drooling at the thought of a pumpkin cheesecake with a pepperkaka crumb crust. 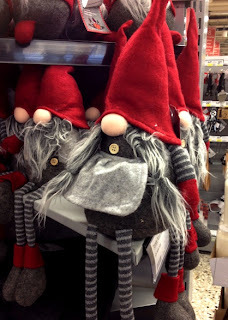 I like that Tomte. Hilarious.